Where to find me and information on Cloud ERP, Accounting Hub and E-Business Suite at Oracle OpenWorld this month. OpenWorld is this month, so time to start planning your agenda. I’ll be presenting at a few different sessions this year with a focus on Financials Cloud (Part of the ERP Cloud) and E-Business Suite. I’m busy preparing for the first two sessions, hope to see you there. Check out the content catalog for more details and to add them to your agenda. This session discusses how to leverage powerful modern reporting tools with no disruption to your existing Oracle E-Business Suite implementation. You will learn the steps required to start using the cloud service. Customers who have implemented Oracle Fusion Accounting Hub Reporting Cloud Service share their implementation experiences and the business benefits they have realized. The user experience (UX) design strategy of Oracle Enterprise Resource Planning Cloud (Oracle ERP Cloud)—including financials and product portfolio management—is about simplicity, mobility, and extensibility. Extensibility and admin personalization of Oracle ERP Cloud experiences include a range of tools, from a simplified approach for rebranding the applications, to match your company culture and image to page-level admin personalization and extension, to building your own simplified cloud application in platform as a service using the UX Rapid Development Kit (RDK). In this session, learn about RDK code samples, wireframing tools, and design patterns. Get a view into the RDK roadmap and where Oracle is going next. .
Do not miss this opportunity to meet with Oracle Financials Cloud experts—the people who design and build the applications. In this session, you can have discussions regarding the Oracle Applications Cloud strategy and your specific business and IT strategy. The experts are available to discuss the value of the latest releases and share insights into the best path for your enterprise, so come ready with your questions. The OAUG Collaborate conference kicks off in Las Vegas on Sunday April 10th. This conference is organized by Oracle user groups and is packed with content from customers, partners and Oracle have some sessions too. If you follow this blog you will know I am a big fan of the conference, I learn a lot from our customers and try to give back as much as I can by sharing information and answering questions. The twitter conversations are already starting, follow #C16LV now and certainly during conference week to see what people are talking about. Register now for that one, I will leave plenty of time for questions because this cloud service is generating a lot of buzz. I will help take questions, you can decide if that qualifies me as an expert or not. I am combing through the sessions to identify others that I want to go to and learn from, I will share those later, watch this space. So what is this new service and why was it such a big focus at Oracle OpenWorld this year? We take a quick look at the major benefits and features. So what is this new service and why was it such a big focus at Oracle OpenWorld this year? It’s a very exciting opportunity to experience the powerful Financial Reporting innovations in our Cloud offerings without disruption to your existing ERP investments. It’s a way to move to cloud in an incremental manner, realizing business benefits quickly without disruption to your existing business processes and systems. It has web services to load General Ledger data from PeopleSoft, JDE Edwards or any other ERP system. It’s a way to get your hands on the Oracle Social Network which is part of the platform our Cloud offerings are built on. It is not a new name designed to confuse you when we already have Financials Accounting Hub and Fusion Accounting Hub. Look out for future posts going into more detail, or you can look at the cloud service page, which has important details such as pricing. Anyone who reads my blog regularly might be tired of me praising user groups, but I believe it is worth repeating myself. The type of information sharing you get from user groups is unique and very valuable, it is important for Oracle to support that, be aware of it, but not interfere. I have been involved with the Oracle Apps User Group via the GL SIG for several years now but I will never push my agenda, I listen, provide information or presentations that are requested and I learn. Many of my colleagues will tell you the same. So Sunday is User Group day at OpenWorld and I look forward to seeing a lot of familiar faces and learning something new. I have a bit of a schedule crunch this year, 12 months ago I committed to run the 5k “Dolphin Dash” School fundraiser with my 8 year old son, I didn’t think for a minute it would fall on the same date as OpenWorld. So I have to run a 5k at 9am and then dash into San Francisco to present at the GL SIG for 11am, if I arrive in my running gear, still sweating please accept my apologies. I will stay around for more of the sessions and always I will be active on twitter, so you can find me that way too. At the GL SIG I’ll be talking about and briefly showing the new Accounting Hub Reporting Cloud Service, which I am very excited about. 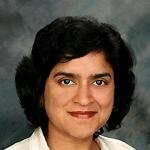 You will also hear from Lakshmi Sampath from Dell about SLA on their upgrade to R12. The full agenda is below, I hope to see a lot of you there. We will be joined by our Oracle colleagues to tell us about ProActive support and their leading practices to deliver content and help to the Oracle user community. Excel4Apps will be helping us by sponsoring the meeting at this conference. 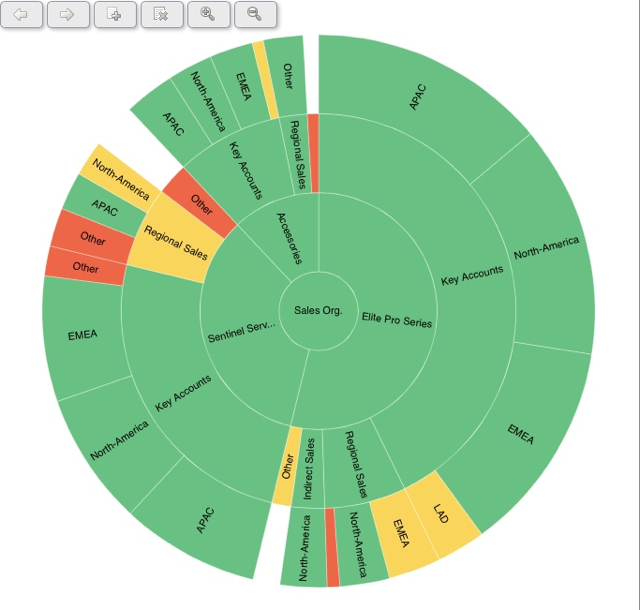 In the past many oracle apps customers have looked elsewhere for their reporting needs – until now – see a preview of “Accounting Hub Reporting Cloud Service”. See how many finance users are using their favorite tools for reporting – Smartview, Cubes, and related functionality to get their financials. Fusion Account Hub Reporting Cloud Service is a new subscription service provides out of the box integration with EBS R12 General Ledger for reporting. This session will provide an introduction to the new service, how it connects, works with EBS data, the reporting capabilities available and what it does and does not support. Come listen to David Haimes, Senior Director, Financials Product Development t alk about the new service. Hear what Lakshmi Sampath from Dell has to say about their upgrade to R12. The presentation covers the R12 Upgrade Case-Study at Dell providing details on what happens during upgrade to R12 in various subledgers (PO, AP, AR, PA, FA) with respect to SLA. This presentation will also provide details on strategies for data conversion to SLA model during upgrade, and cover critical lessons learned during the upgrade @ DELL.